One of the most important details of every wedding, is the cake or pie, this is usually one of the most examined and admired by all the guests, hence its importance when choosing it. 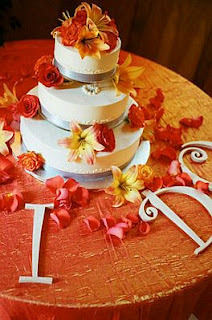 The idea is that the cake or wedding cake combines with the decoration, so it is suggested that you use the same decorative elements used in rooms and tables, and of course, your style should also go hand in hand with the party. 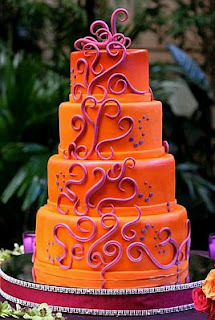 For this reason is that we present below some cute cakes models with orange or details of these tones. 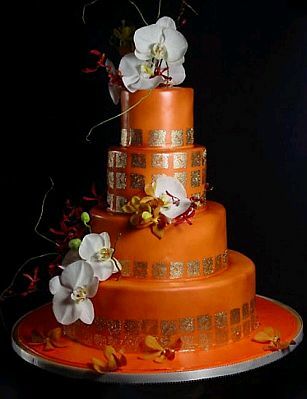 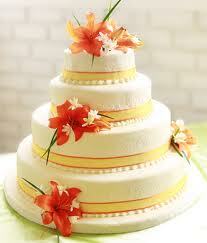 Beauty wedding cake decorated three-floor orange with applications in high relief of flowers and branches. 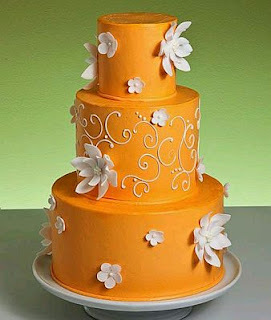 Another three-tier model, although in this case the wedding cake is decorated in white and carries over ribbons and orange flowers. 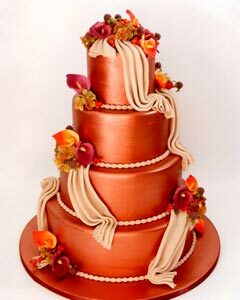 If your style is more elegant and formal, this three-floor cake might be interesting, this is a cake decorated in dark orange with flowers applications and branches of the same color but with different tone. Beautiful wedding cake four floors with orange cream, with golden square shaped at the base of each floor, and white beautiful flower arrangements. 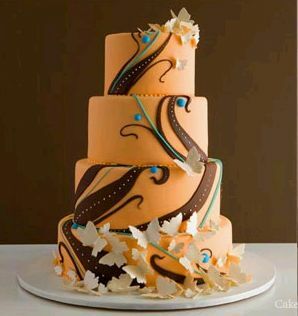 If you want to give some movement to your cake or wedding cake, this four-floor, orange and decorated with panels of fabric, mace made of sugar, could be the one. 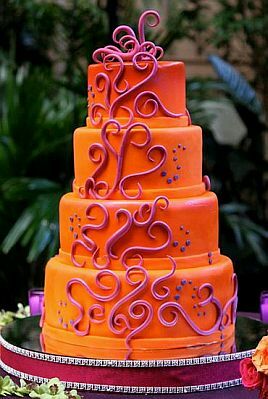 Young and pretty wedding cake four floors, decorated in orange and lilac applications. 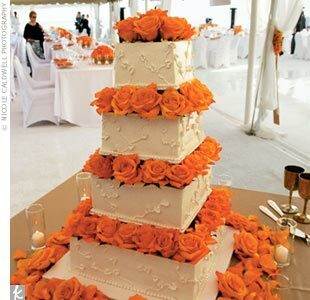 If you prefer wedding cakes with the traditional white with orange highlights provided by roses, this large four-floor model might be helpful. 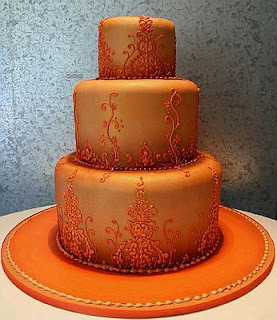 Elegant wedding cake model, orange with applications in high relief, brown and turquoise. Finally another beautiful wedding cake proposed three-floor orange flowers.